On Monday morning we lost a great Australian motor racing icon, if not the greatest ever in the motor racing world, Sir Jack Brabham. Many people may not know that Jack spend a good deal of his later years strapped to a kidney dialysis machine for a good amount of time of each week. Sir Jack was one of the lucky ones as he had a Kidney Dialysis machine in his home. As we all know this is not possible for a good many other people in Jack’s position and must attend a hospital for their dialysis treatment. The Kidney Kampers will help sufferers escape the confines of the hospital for a weekend or short break, allowing them to dialyse where ever they are, in order to give them and their families a break. 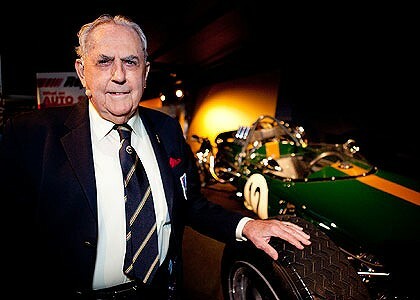 Sir Jack still carried on a very active life and as late as last Sunday, Jack was helicoptered off to view one of his beloved Brabham open wheeler racing cars fully restored by an enthusiast in Queensland.